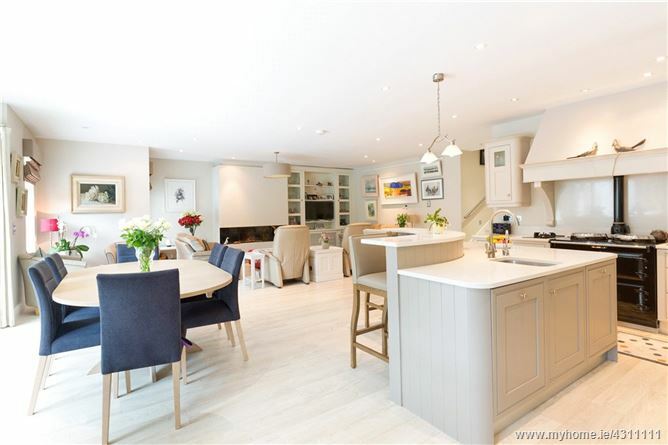 A unique opportunity to acquire a completely remodelled, architect designed and extended detached family home which has been finshed to an exacting standard. 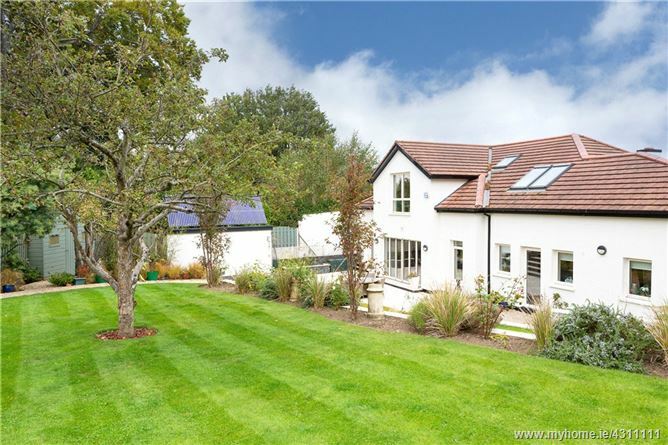 The generous and thoughtfully presented accommodation extends to an impressive 321 sqm (3,465 sqft) and is further enhanced by a delightfully landscaped, private south west facing garden and a peaceful cul-de-sac setting. No. 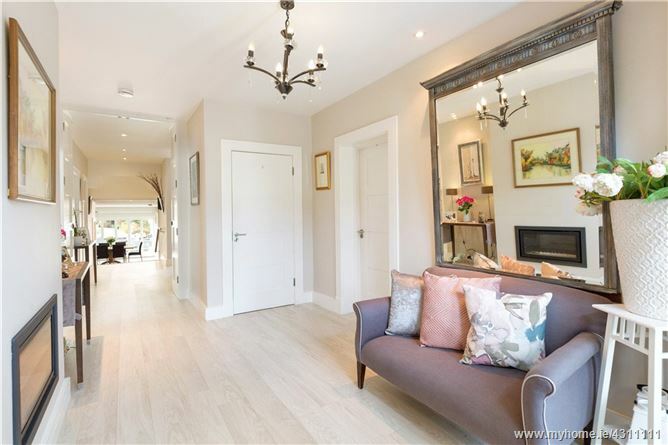 25 is one of the finest houses to come to the market in Mount Merrion in recent years. 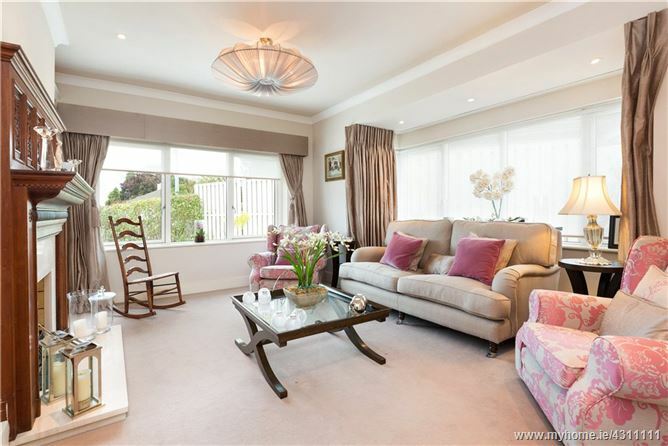 It has been completely redeveloped in 2010 to a meticulous standard which is immediately evident from quality and detail included such as the heat exchange system, solar panels, under floor heating, Carlson windows, wellappointed bedrooms with en suites and a Newcastle Design kitchen. 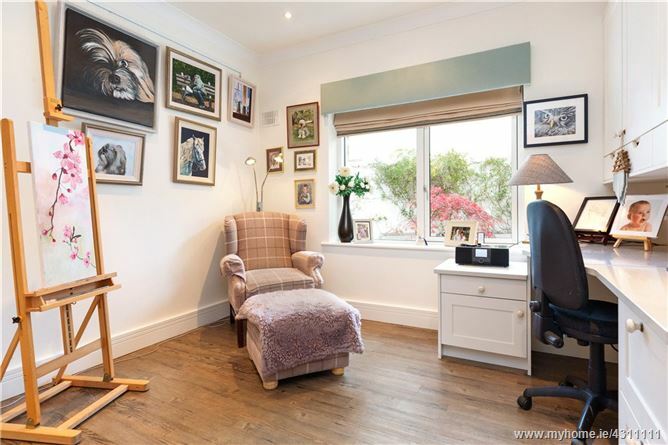 The outstanding accommodation briefly comprises a generous entrance hall off which there is the front living room with bay window, office and cloaks cupboard. Through impressive double doors there is an inner hall off which there is the family shower room, bedroom 4 currently in use as an art studio, utility room and steps down to a striking open plan kitchen/ living/dining room which comprises a Newcastle Design kitchen, large Kal 85 wood burner surrounded by quartz in the living area and concertina doors in the dining area leading to a beautifully landscaped garden. 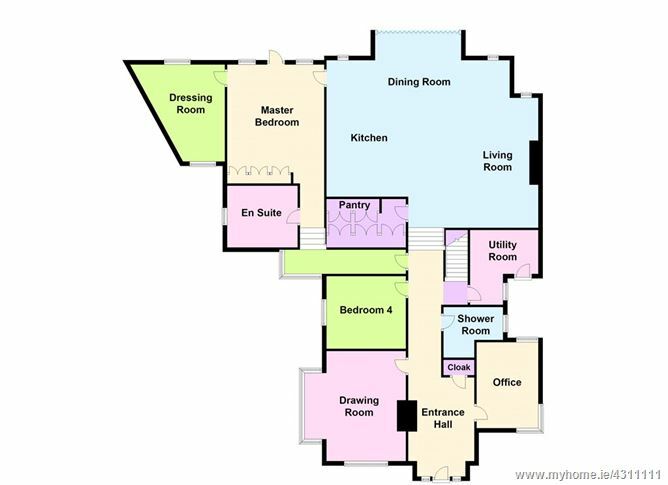 From this level there is also access to a superior master suite with a large dressing room and Newcastle Design bathroom. 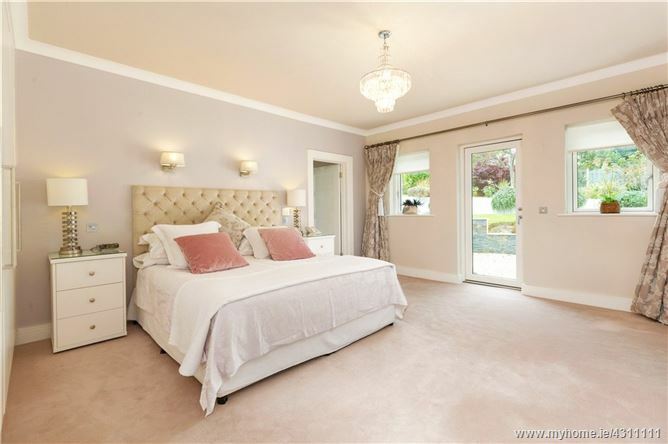 Upstairs there are two bright and generous south west facing bedrooms, both en suite. 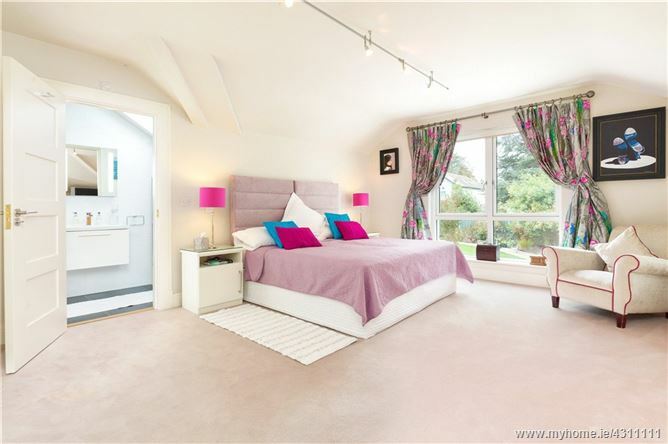 There is also a large attic room and ample under eaves storage throughout. 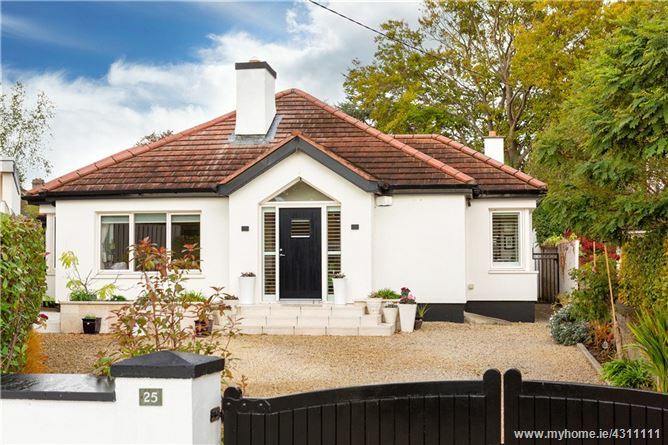 Mather Road is one of the most sought after residential roads in Mount Merrion. There is a vibrant community centre, churches, sports facilities, university campus at Belfield and an excellent selection of some of the country's best known schools close by. Dublin city centre is easily accessible by the QBC, Luas and the N11, as is Dundrum Town Centre, Stillorgan and Blackrock Village. 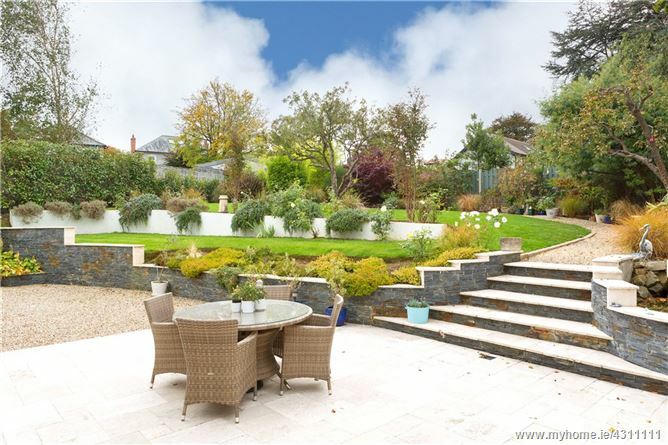 The large front garden is walled and surrounded by flower beds and set behind electronic gates where there is a large gravelled area providing ample off street car parking. There are feature tiled steps up to the front door together with pedestrian gated side access on both sides of the property leading to the back garden which comprises a patio area and raised lawn with gravelled pathway, fish pond, garden shed and plant room which houses the gas boiler, hot water tank and solar panels on the roof. with a large array of fitted shelving units, fitted desk and corner window with plantation shutters. 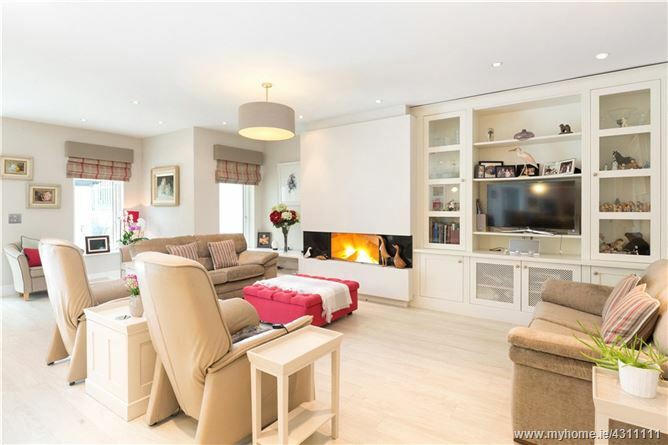 [measurement to include the bay window] with ceiling coving, fireplace with open fire, tiled inset and raised tiled hearth, built-in bookshelf unit, window overlooking front and feature bay window. 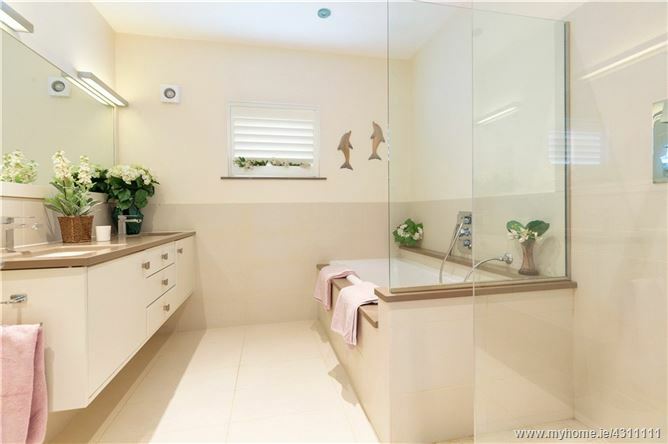 Newcastle Design bathroom with quartz tops with w.c., w.h.b., shower with Monsoon shower head, bath, heated towel rail, partially tiled walls and window to side with plantation shutters. Currently used as an office, with ceiling coving, recessed lighting, range of Newcastle Design fitted cupboards, desk unit and window to side. 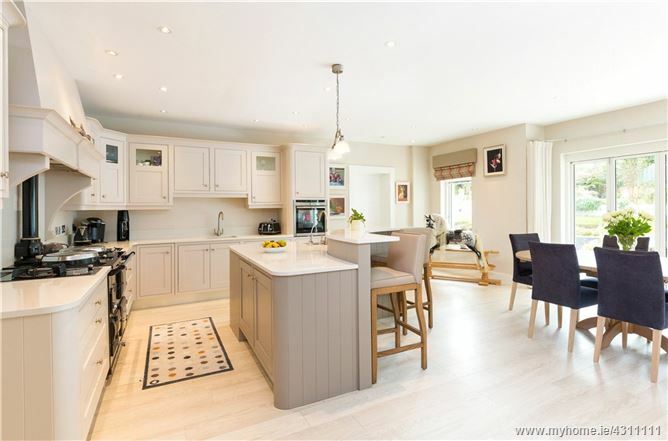 with a large range of fitted cupboards, granite worktop, Belfast sink unit, plumbed for washing machine and dryer, partially tiled walls and door to rear garden. with w.c., his and hers w.h.b. 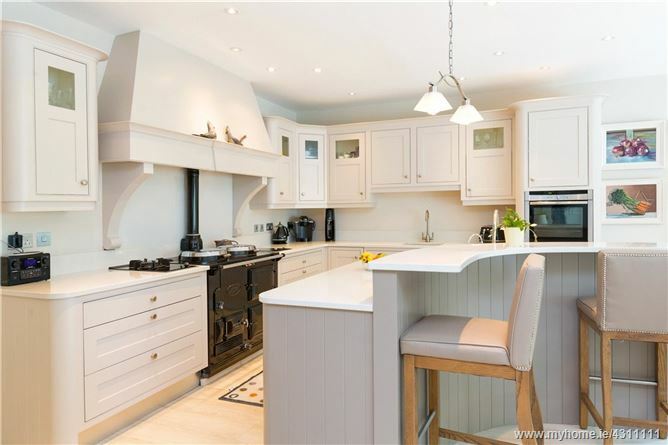 Newcastle Design kitchen with a large kitchen island, stainless steel sink unit, integrated dishwasher, fantastic range of fitted cupboard units, integrated Neff oven, second&#13;stainless steel sink unit, two ring induction Neff hob, Neff gas ring. with double glazed concertina doors opening onto the rear garden. with large Kal 85 wood burner surrounded by quartz, good range of Newcastle Design fitted units including tv unit. 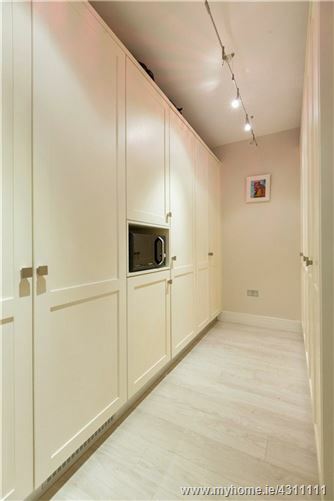 large walk-in pantry, with a great range of fitted cupboards to include integrated Electrolux freezer and Liebherr fridge freezer fitted by Newcastle Design. 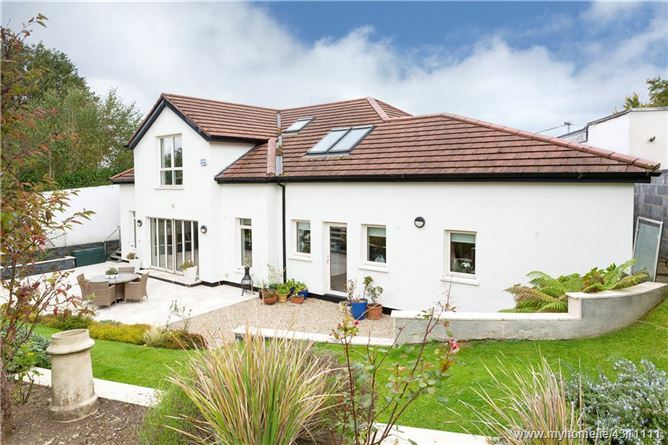 Bright landing, with steps up to attic room an access to under eaves storage. 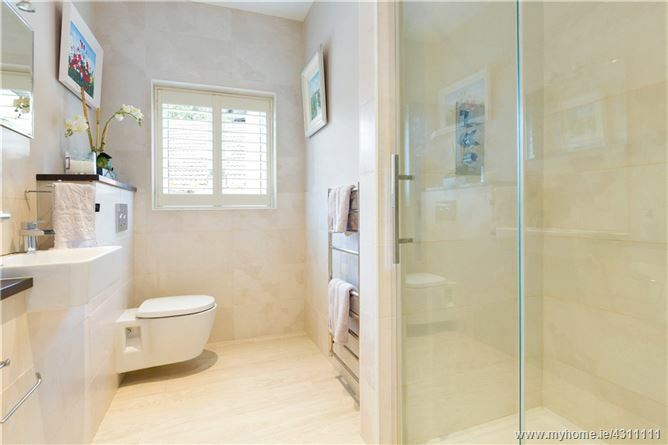 with w.c., cabinet w.h.b., shower, towel rail, velux window, tiled floors and walls. 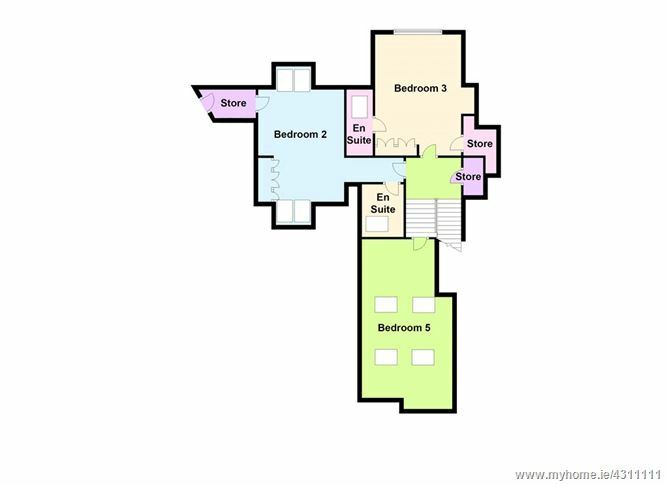 with w.c., cabinet w.h.b., shower, velux window, towel rail, tiled floor and walls.